The map here below is in itself ordinary and has little to do with philately, but for us it is a nice addition: it is now history. On the map we find names, which no longer can be found in Riga, but we see these names on postal items. 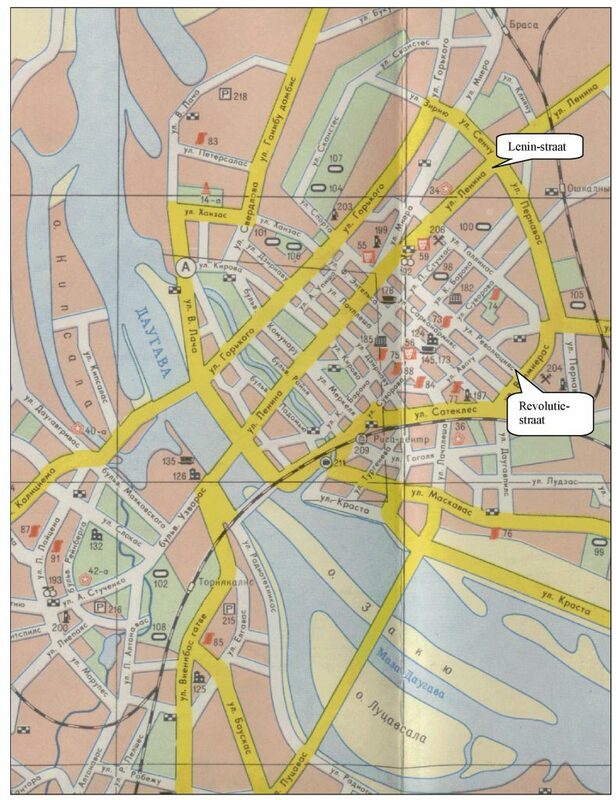 A part of the map of Riga, printed in Moscow, 1978. The ‘Revolution street/Revolutiestraat’ is mentioned on the postal statioary, issued 1965, here below and is also on this map. Postal stationary, issued 2-2-1965, catalogusnr. 3578. 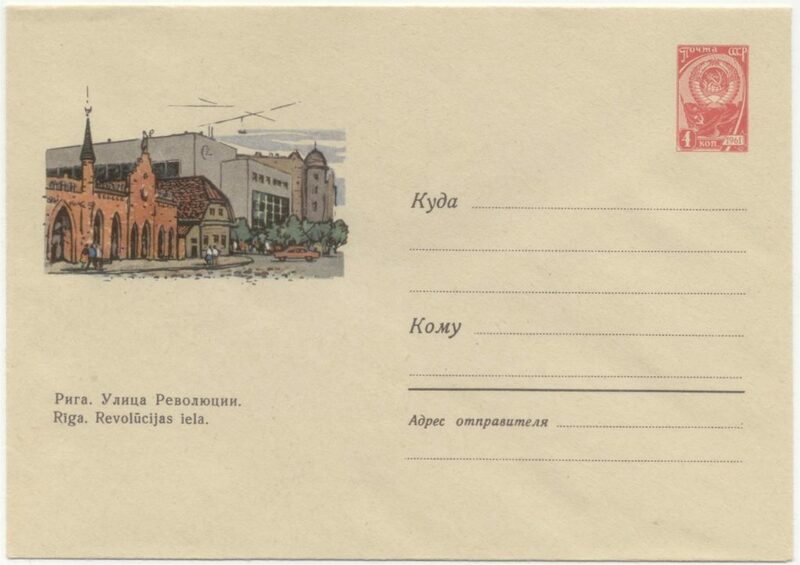 In the Soviet period many postal stationery -covers- are issued with on the left side a picture from the Baltic area. In the former Soviet-Union this kind of postal stationery is issued in big amounts. For the period 1953-1977 there is English catalog of Coerts en Nizova, and only in this period are issued 12.561 covers. In the catalog we find the covers on date, as is indicated on the cover, sometimes only the year. In the catalo of Coerts and Nizova, sorted by date, gives more details. Hamburg : Harry v. Hofmann Verlag, 2014.